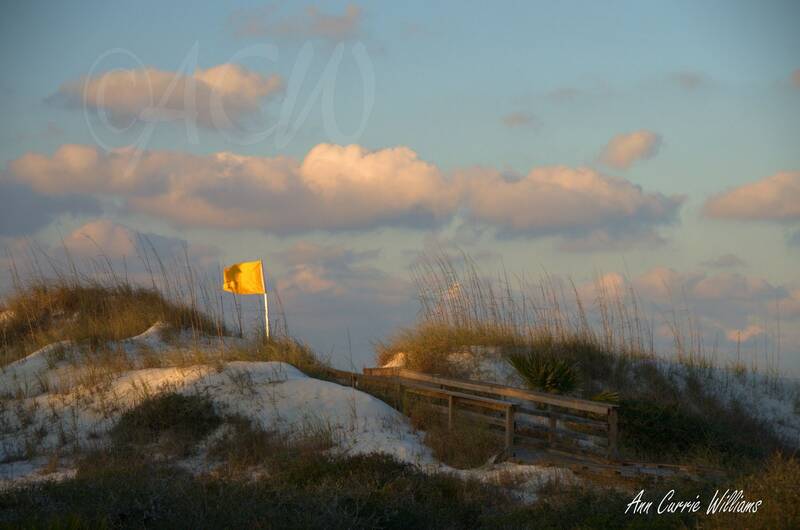 Dunes at St. Joe in Florida, in the morning light, reflected on the a tiny strip of land in the Gulf of Mexico. The yellow flag is for the water conditions. An original color photograph.